Home » Featured » Legends of Oz: Dorothy’s Return – Giveaway! Win a Visa Gift Card, Oz Shirt, and Posters! 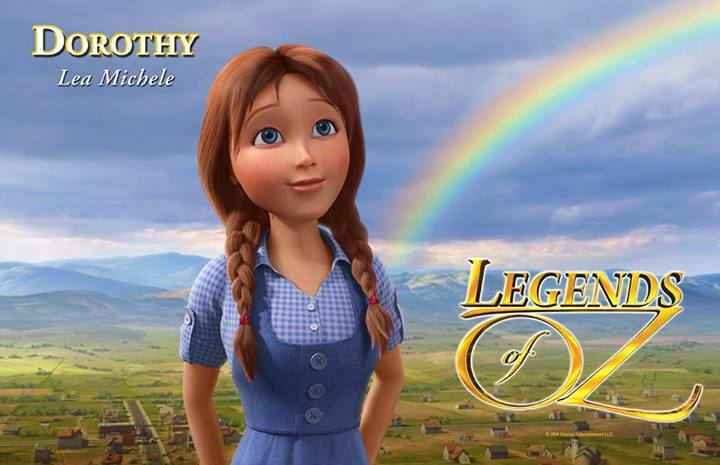 Legends of Oz: Dorothy’s Return – Giveaway! Win a Visa Gift Card, Oz Shirt, and Posters! *This post is sponsored by Clarius Entertainment. I received a free prize pack in exchange for this post.All opinions are my own. Dorothy is back, and ready for another magical adventure in the wonderful world of Oz. Reunited with her friends the Tin Man, the Scarecrow, and the Lion, Dorothy must help save Emerald City once again. An all-star cast, new songs, and timeless characters are sure to deliver an incredible film experience for the whole family. 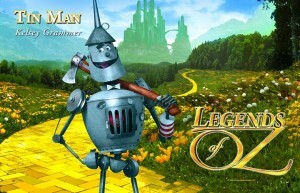 beloved fairy tales, Legends of Oz finds Dorothy (Lea Michele) waking to post-tornado Kansas, only to be whisked back to Oz to try to save her old friends the Scarecrow (Dan Aykroyd), the Lion (Jim Belushi), the Tin Man (Kelsey Grammer) and Glinda (Bernadette Peters) from a devious new villain, the Jester (Martin Short). 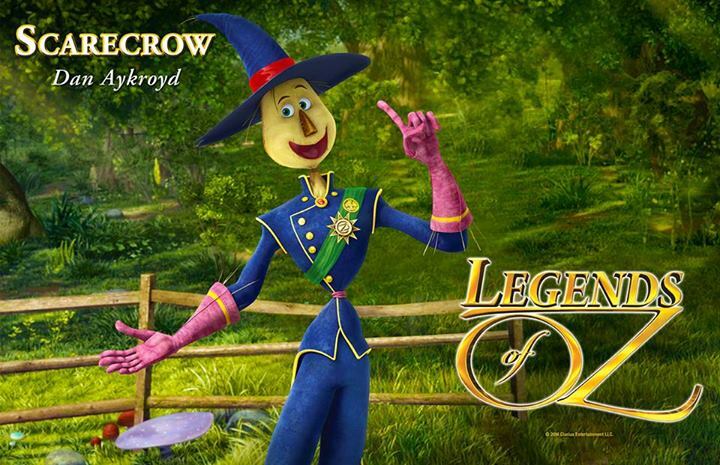 Wiser the owl (Oliver Platt), Marshal Mallow (Hugh Dancy), China Princess (Megan Hilty) and Tugg the tugboat (Patrick Stewart) join Dorothy on her latest magical journey through the colorful landscape of Oz to restore order and happiness to Emerald City. Set to the tunes of Academy Award-nominated singer/songwriter Bryan Adams, Legends of Oz marks a charming, family-friendly return to the Oz franchise. This incredibly talented cast will bring some of our favorite characters to life in this new animated musical feature. This film is star-studded, and sure to be a hit with both children and parents alike! I can’t wait for my children to experience the magic of Oz in a whole new way. 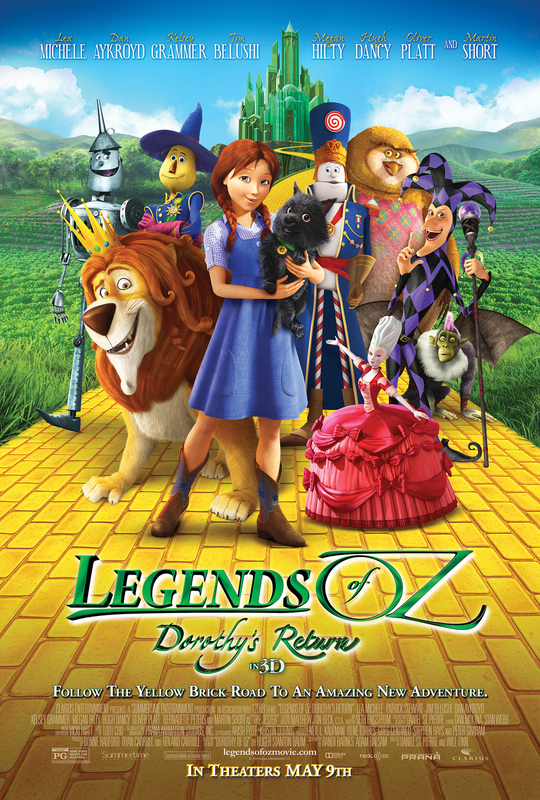 Make plans to take your family to the movies on May 9th, when Legends of Oz: Dorothy’s Return hits theaters. 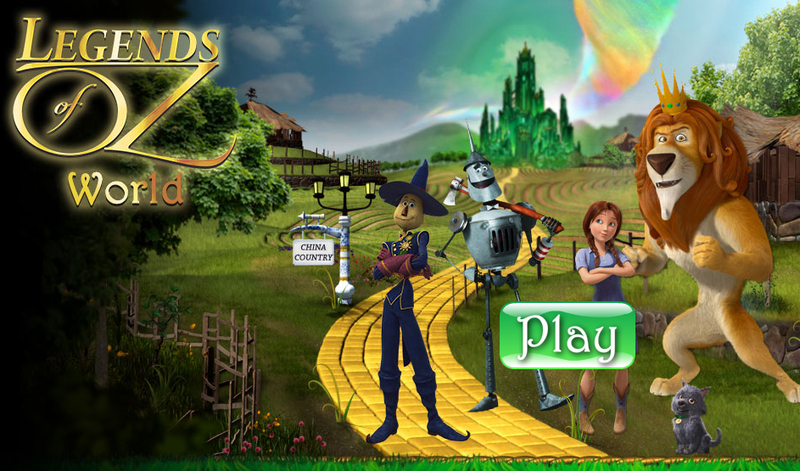 Legends Of Oz World is free to play, and fun for Oz fans of all ages. 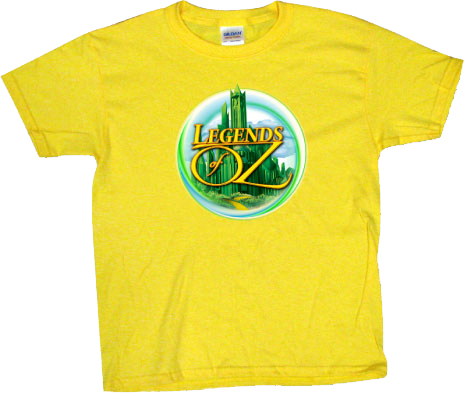 In Legends of Oz World, Dorothy sends you and your trusty companion Toto to save Oz! With the help of some familiar faces, you will discover the many secrets of Oz and why things are not quite the way they used to be. 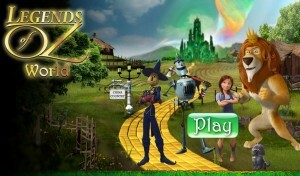 Through puzzles and quests, you will find out what is plaguing the wonderful world of Oz and work to restore its luster. Good luck, and thank you for entering! See you at the theaters May 9th! I hate to be cliche, but Dorothy and Toto would be my favorite! The strawman is my favorite character. 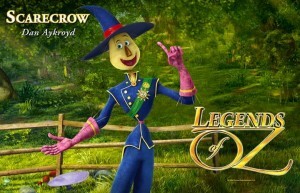 My favorite Oz character is the Scarecrow. The Cowardly Lion is my favorite. Dorothy is my favorite character from The Wizard of Oz! The tin man is my favorite. My favorite character is Tin Man. The Cowardly Lion is my favorite character. I like the scarecrow. He makes me laugh. My favorite character is Dorothy. Mine is the Tin Man!! I love Dorothy the best! My favorite character from the land of Oz is Dorothy! I always liked the Lion!